It’s as if we were planning a heist like Mark Wahlberg in the Italian Job. And we were “of sorts…”. Instead of gold bullion, it was the fresh, white powder us skiers & snowboarders dream about. Long, long ago while sitting at my computer, the instant messenger suddenly popped up and read “You Ready?” I responded with a “Hell yes!” Standing up, I looked around to make sure no bosses were in sight. Sneaking out of the office, I swung the office door open & slapped high fives with my buddy. Our plan was to steal some untracked powder turns late on a Wednesday night. Wait, what? Where can you go powder skiing at night?!?! If you live in the greater Seattle area, you’re in luck. There is such a fabled place and it is called Summit West. Hopping into our ride, we rush out of Seattle and take I-90 east towards Snoqualmie Pass. With a one track mind, we set our sights towards the destination and are almost unaware that we were swimming upstream. We are so focused on our mission to get powder, we hardly even notice everyone else was heading home. Our windshield wipers push the rain away as the traffic continues to subside. After about 30 minutes, the traffic is virtually nonexistent and the road becomes windier and more desolate. Rain drops begin to get chunkier and eventually transition into wet snowflakes. The weather forecast for the past three days called for continued snowfall through Wednesday with no end in sight. And then… we finally arrived. Pulling into the parking lot, huge walls of snow block our view of the ski area which added to the suspense & excitement. With only a few cars and snow falling steadily, it was almost unbearable. The stoke was high, so as soon as we parked, we bailed out of the car. Quickly changing from our office attire, we throw on the most comfortable clothes we own. What else but our colorful snowboard gear! Untracked Pow At Night? No Way! Rushing to the chairlift, we look up & see huge open runs with only a few tracks on them. How can that be? Okay, let us fill you in on a little known secret. During the work week, Summit West is closed on Monday & Tuesday and then only opens at 4:00 p.m. in the evening for Wednesday through Friday. 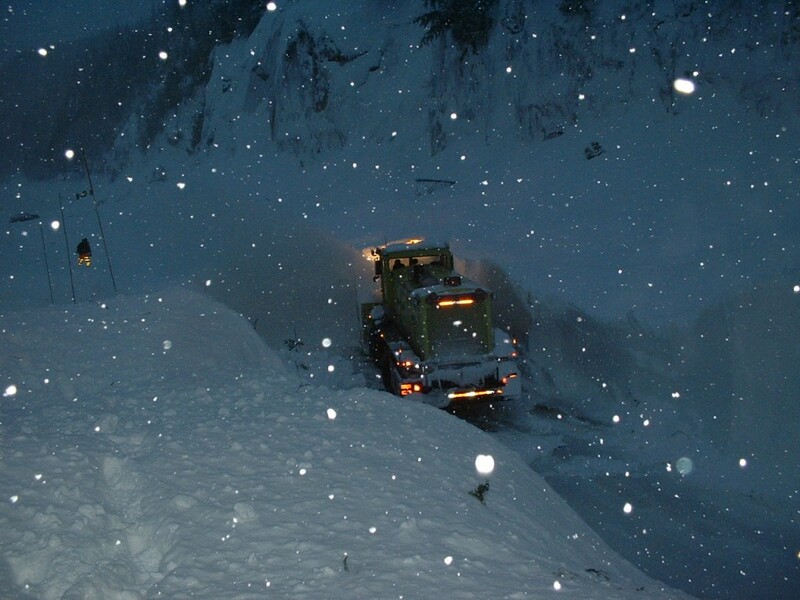 Translation… first tracks and fresh pow after work! As we ascend on the chairlift, we look down at a few people taking turns. This is the perfect stress reliever after a long day at work. Hootin’ and hollerin’ in excitement, they make turns in the fresh snow. We finally reach the top & strap in. For a moment, we stop and slap high fives as we look at the open field of snow in front of us. Under the orange halogen glow, we make turn after turn in the virgin snow screeching for joy just like the others we saw from the lift. At the bottom, we look up the hill studying the tracks we made. It was only an hour ago that we were stuck in a cubicle and now we were transported into a winter wonderland. With huge grins, we get back on the lift to do this again and again. If your work schedule isn’t flexible, there’s a few different ways to get these mid-week treats. Even out west there are 1 or 2 ski resorts open at night. From Keystone in Colorado to Boreal in Tahoe, this gives you a chance to get the goods mid-week. For the best possible conditions, check the snow levels of the storm & understand when the snow will fall. If the resort is open all day, having a storm that rolls through in the afternoon will make it more likely to find fresh snow under the lights than a storm that starts in the a.m. 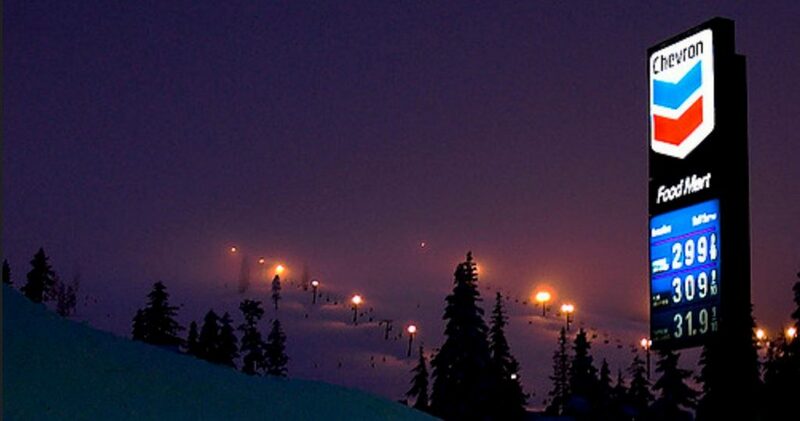 If you’re lucky enough to live in Seattle area, then Summit West at Snoqualmie is the spot. They keep the resort closed on Monday and Tuesday, reopening at 4:00 p.m. on Wednesday. This leads to a high likelihood of feet of fresh powder to slash when the sun goes down. Following these 3 basic rules will help you keep your normal job, but at the same time quench your hunger for some epic turns. Let us know of a resort in your area that is perfect for a powder night. Bogus Basin, open 7 nights a week until 10pm. 4 chair lifts including 2 high speed quads, 3 carpets, two parks.